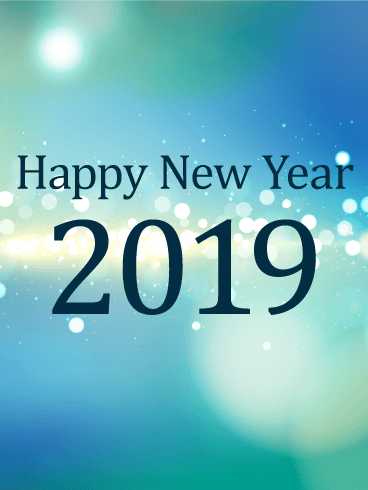 How do you celebrate the New Year? Do you gather around a warm fireplace? Do you set off fireworks or meet friends around a roaring bonfire? However you celebrate, use the sparks and spots of light on this card to call these heart-warming scenes to mind. 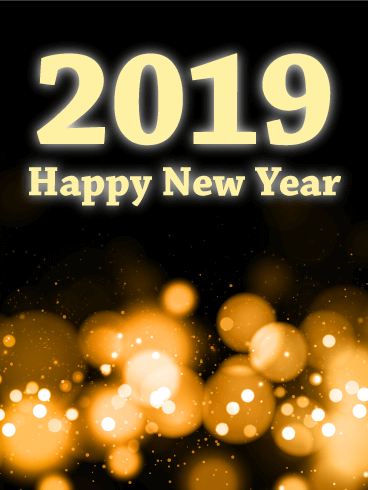 The black background and orange lights glow beneath a "2019 Happy New Year" message, the perfect way to ring in the New Year! 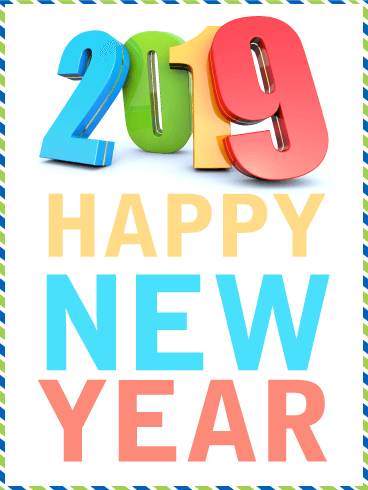 Nothing celebrates the start of a new year like a beautiful card to send to your friends and family! 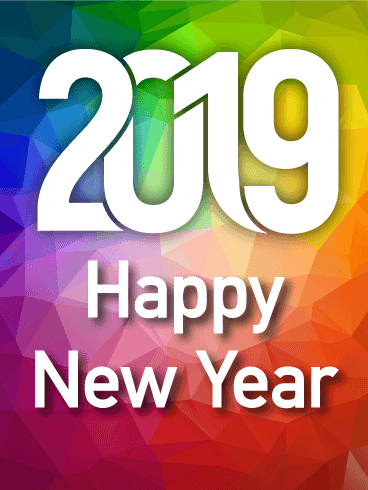 This White Glow Happy New Year card has multiple blues and greens, swirled together in a beautiful show of color. Large, medium, and small glows of light, along with white glitter, fill the center and corners of this cheery card. 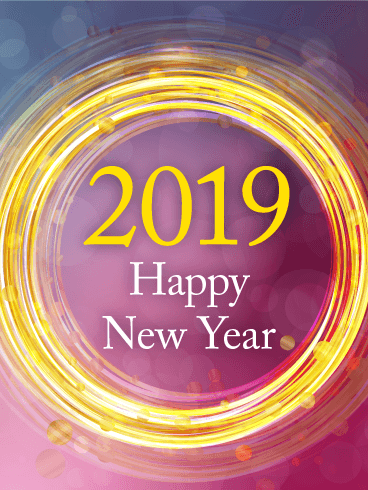 Say "Happy New Year 2019" with the bright designs on this New Year card! If you know someone who appreciates beautiful art, this is a great New Year card to send! 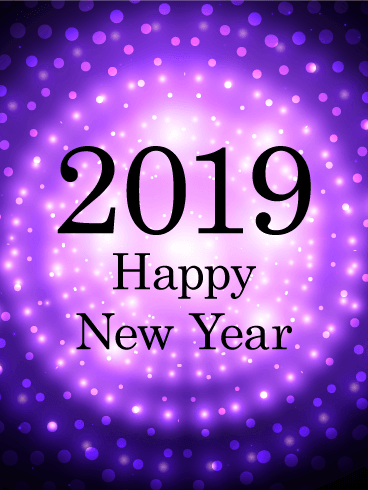 This Happy New Year card has varying shades of blue, purple, and pink with light circles. 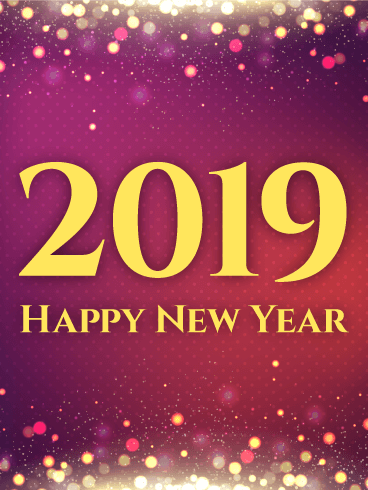 In the center, yellow lines and spots form a bright, eye-catching ring around the "2019 Happy New Year" message. Send it today! 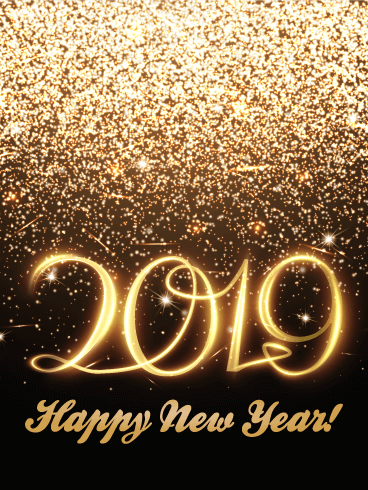 If you need an elegant, alluring New Year card to send, this is the card for you! Varying shades of purple, pink, and red fill the background, along with a pattern of light pink dots. At the top and bottom, a gentle glow creates glitters and spots of light. 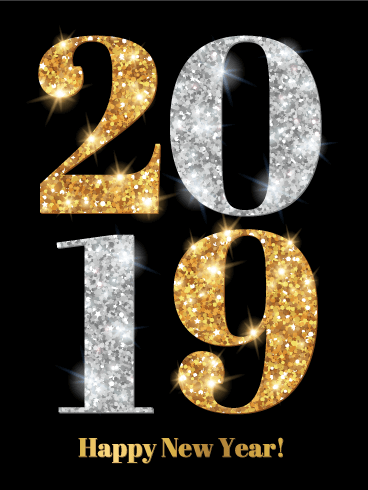 In the center, yellow text proclaims "2019 Happy New Year." 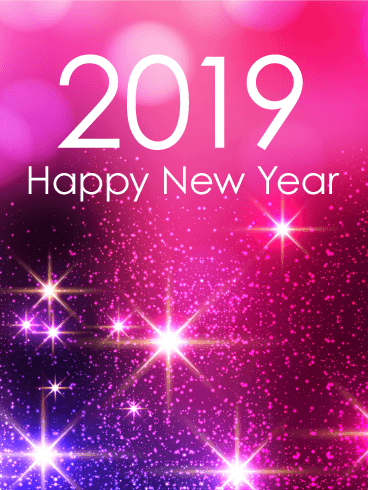 Send this card to celebrate the New Year with everyone you know!